Picture this. You're on the side of the road, and your tyre is blown out. You have two options, either call for roadside assistance or roll up your sleeves and change the tyre yourself. What if there was a third option? Well there is, and this is where 'run flats' come into their own. 'Run flats' give you the ability to continue to drive your vehicle for an additional 80kms* following a puncture or blowout. This way the driver can exit the road safely and drive (a considerable distance) to the nearest repair shop. Changing a tyre is an important skill, but the idea of 'run flat' tyres sounds pretty handy. The added benefit of losing the weight of a spare tire and tools could help with fuel efficiency too. There are two main types of 'run flat' tyres: self-supporting and auxiliary supported. Self-supporting tyres have stiffer and tougher rubber, which can temporarily carry the weight of the vehicle under lower tyre pressure. Auxiliary supported tyres don’t have stiffer and tougher rubber but are attached to a special rim which has a steel support ring which is attached to the wheel and can support the weight of the vehicle. So what’s the catch? You probably guess it - price. 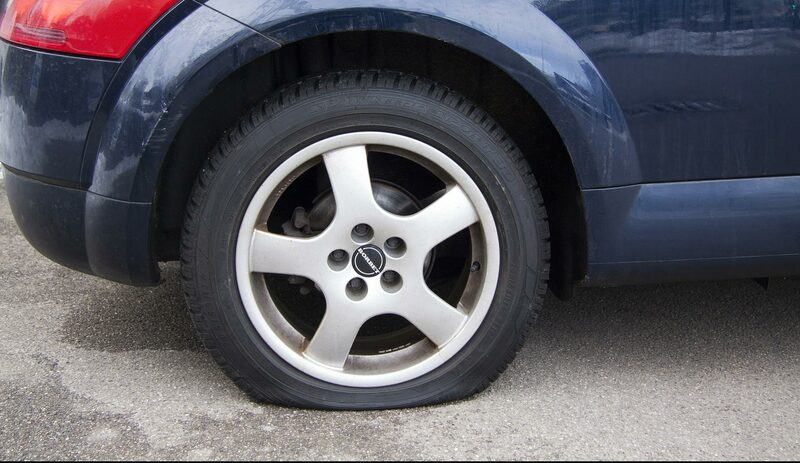 On average 'run flats' are one third more expensive than regular tyres and can be dramatically more than that. Performance. As you can imagine driving on a tyre with next to no pressure will affect your vehicles performance and handling. It has been documented some users have expressed concern whereas others felt the car responded fine, considering it had no pressure. If changing a tyre is an uncomfortable or intimidating process for you, then 'run flats' are ideal, but you will be paying for convenience. If you're on a budget or you can't justify the effort vs cost then your standard tyre is more than adequate for the job. *Distances can vary - always check with the manufacturer for the specifics of the tyre you are using.